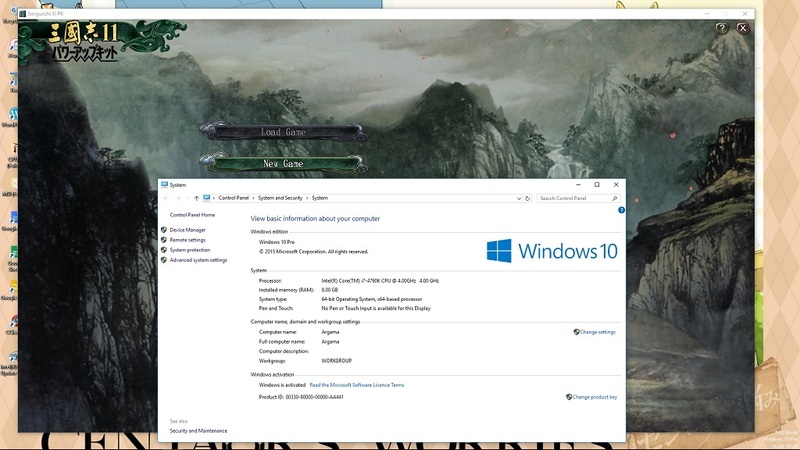 By using method I've mentioned earlier, I am finally able to play ROTK XI in Win 10.
heirtothestar wrote: Have anyone here try Driver Signature Enforcement Overrider http://www.ngohq.com/?page=dseo to self sign secdrv.sys and run the game ? Is this method safe? Will it not increase the vulnerability of your computer to hackers? EDIT: I am having trouble with the PUK version. For some reason, when I open up the launcher, the first and third options (Play Game and Setting, respectively) are unable to be selected. They do not even light up when I hover over them. Does anyone know what could be causing this? heirtothestar wrote: By using method I've mentioned earlier, I am finally able to play ROTK XI in Win 10. Would you mind telling me the specific steps in details? I have tried this method but no success. Tried installing this game onto Windows 10 OS, able to play this game. My game works too, just videos dont work, shows black. which is annoying.